Mr Cameron said he planned to renegotiate parts of the UK's relationship with Europe and put that changed membership package to the British people in an in-out referendum after the next general election, by the end of 2017. 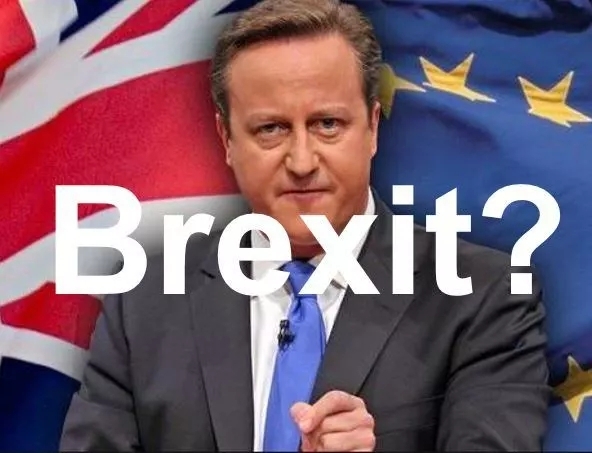 Mr Cameron had been facing mounting pressure from within the Eurosceptic ranks of his own Conservative Party, and the UK Independence Party, which is unhappy with the current relationship between the UK and the European Union. For months now, the promise has been that these questions will all be answered in a big speech. 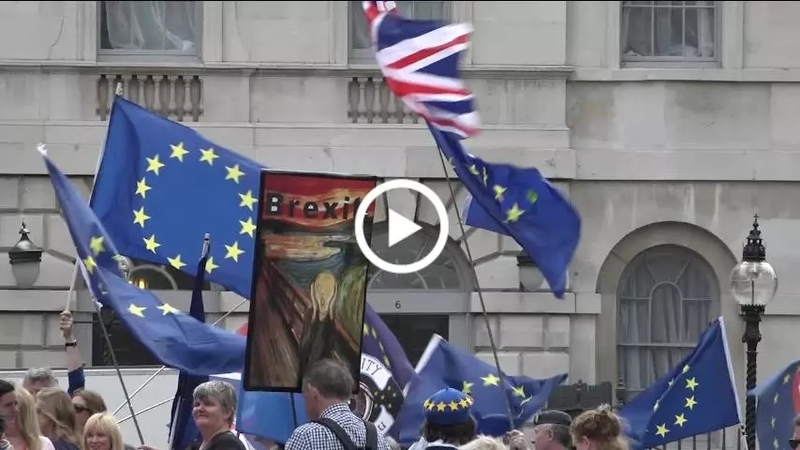 Britain is this morning heading out of the European Union after a historic referendum vote for “Out” stunned the world. The ultra-narrow margin of victory of 52 percent to 48 percent left the nation split down the middle and triggered Prime Minister David Cameron’s resignation. The EU agrees to move on to the second phase of negotiations after an agreement is reached on the Brexit “divorce bill”, Irish border, and EU citizens' rights. The UK and the EU take decisive steps in their negotiations. 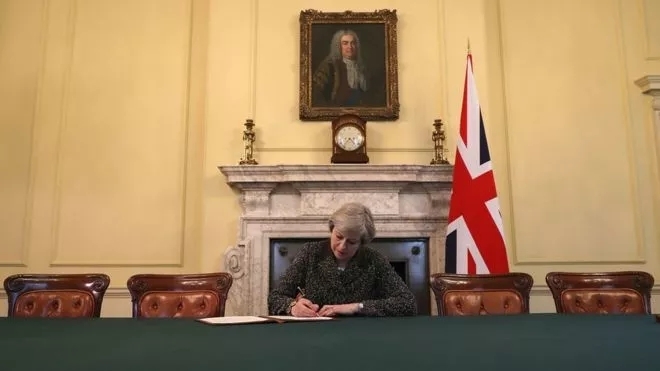 Agreements include dates for a transitional period after Brexit day, the status of EU citizens in the UK before and after that time, and a policy concerning fishing rights. 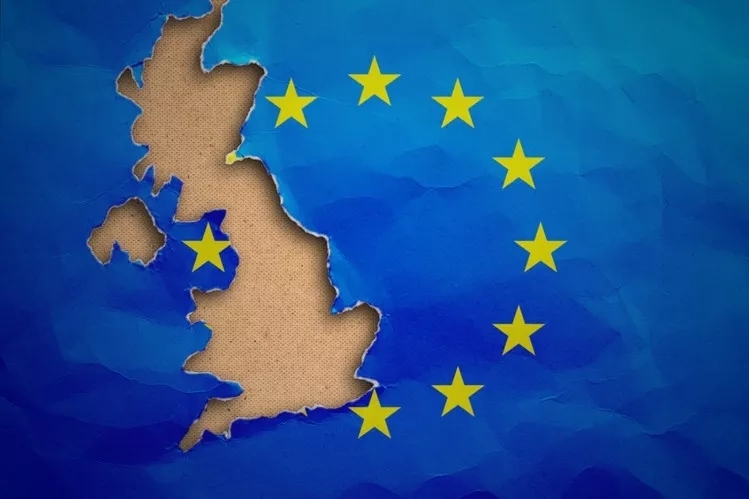 Brexit day – The UK will end its membership of the European Union at 11 pm local time and enter a transitional period. The transitional period is due to end and the new economic and political relationship between the UK and the EU will begin. It’s only 250 words long but it has instantly become the defining clause in a war of words between Britain and the EU. It gives the leaving country two years to negotiate an exit deal and once it's set in motion it can't be stopped except by unanimous consent of all member states. No country had previously invoked article 50. It's crunch time for the government's EU Withdrawal Bill - the bill that aims to ensure European law will no longer apply in the UK after Brexit. All existing EU legislation will be copied across into domestic UK law to ensure a smooth transition on the day after Brexit. The European Union's single market is perhaps the most ambitious type of trade cooperation because, in addition to eliminating tariffs, quotas, or taxes on trade, it also includes the free movement of goods, services, capital, and people. A single market strives to remove so-called "non-tariff barriers" - different rules on packaging, safety, and standards – and many other rules are also abolished with common rules and regulations applying across the area. The EU is not only a single market - it is also a customs union. The countries have clubbed together and agreed to apply the same tariffs to goods that originate outside the union. Once goods have cleared customs in one country, they can be shipped to others in the union without further tariffs being imposed. Critics of Brexit say the UK deciding to go off on its own could create widespread job losses and economic uncertainty. Those advocating Brexit say breaking free will mean the nation can reduce taxes paid by its citizens and reduce the burden of immigration. The EU is Great Britain’s largest trading partner. When the UK leaves the 28-nation partnership, its businesses may find they have far greater freedom to trade with companies around the world. However, if enterprises in the new EU are reluctant to do business with British firms, the UK companies could face substantial headwinds. Many international companies seem to be erring on the side of caution and drawing up plans to relocate away from the UK and into mainland Europe. Morgan Stanley has confirmed it is moving up to 10 percent of its United Kingdom workforce, and Goldman Sachs has also shown signs of having itchy feet, gradually increasing its presence in mainland Europe. Tarek Al-Wazir, the economy minister for the state of Hesse in Germany, is confident many companies will relocate to Hamburg. Early in 2018, Xinhua news service reported that Britain was China’s second-largest trading partner within the EU and that China was Britain’s second-largest non-EU trading partner. Tony Samuels, a solicitor and notary public in the city of London, who has worked closely with many of China’s leading financial institutions, told China Daily that, in a turbulent world, the ability to take a broad view, and stability, are two key elements to ensure security. He said these factors make Brexit an opportunity for Sino-British ties to become stronger than ever.